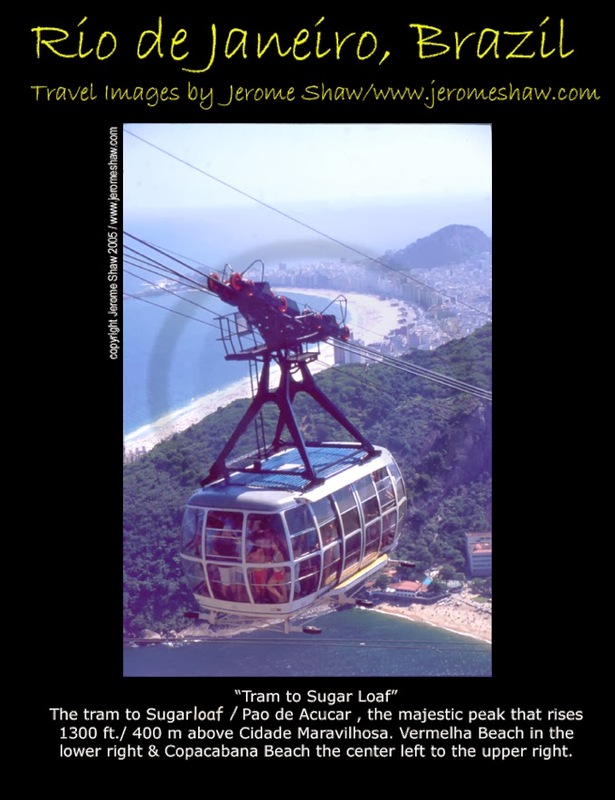 The tram to the top of Sugarloaf / Pao de Acucar , the majestic peak that rises 1300 ft./ 400 m above Rio de Janeiro, Brazil --- Cidade Maravilhosa. Praia Vermelha / Red Beach is visible in the lower right and Copacabana Beach in the center left to the upper right. The tram up Sugarloaf / Pao de Acucar takes visitors to the top of the majestic peak that rises above Guanabara Bay in Rio de Janeiro, Brazil. This 1300 foot/ 400 meter granite peak is thought to be millions of years old. And, there is no question that Sugarloaf is one of the most marvelous sights in the Cidade Maravilhosa and provides inspiring views of Rio. In the photo above you see the Praia Vermelha / Red Beach in the lower right and Copacabana Beach, sweeping in a crescent from the center left to the upper right. The tram trip ot the top of Sugarloaf is separated into two 3-minute sections. The first section begins at Praia Vermelha / Red Beach and rises to the top or Morro da Urca / Urca Hill at an altitude of 720 feet / 220 meters. The midway point features a restaurant, a café, a snack bar, souvenir shops, and a play area for kids. Take some time here to shoot a few photos especially of downtown Rio and watch the airplanes landing at the Santos Dumont downtown airport. While the views on top of Sugarloaf are monumental the view of downtown is a better photo from the top of Urca Hill. From the top of Sugarloaf you'll see the famed beaches of Copacabana and Ipanema, Tijuca Forest, the world's largest urban forest and Corcovado Mountain, featuring the Christ the Redeemer statue. You should plan on at least four hours for your trip up and back on the Sugarloaf Mountain tram. The cars leave the base station every half hour between 8 a.m. and 10 p.m. so consider a late afternoon trip to the top for a spectacular sunset and night time views of Rio de Janeiro. The cost for adults is approximately US$25, depending upon the exchange rate, with kids tickets going for about half that. The tram is not the only way to reach the summit of Sugarloaf, whose name was coined by Portuguese inhabitants in the 1600s. They named the peak Pao de Acucar for its resemblance to a loaf of refined sugar, which at the time was one of the areas chief exports. Hiking up the mountain on the rear side is possible for the intrepid. The route is challenging and some climbing is required. Another caveat is that tickets for a downhill ride are not available at the top of Sugarloaf so plan ahead and buy a ticket for the decent in advance. 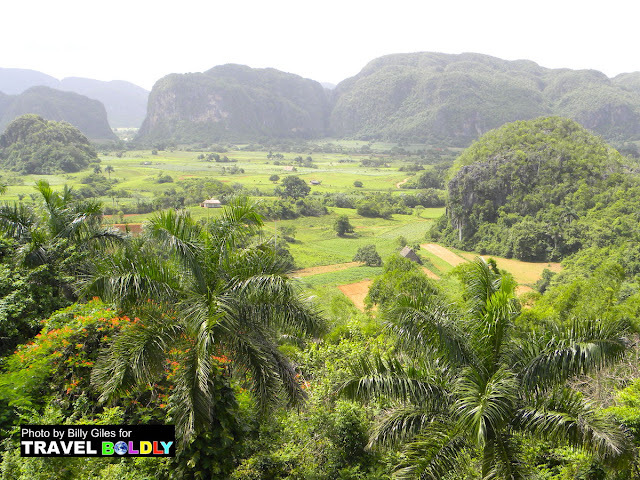 This images is copyrighted and may not be used, reposted, or reproduced without direct written permission. Please feel free to share the image on Pinterest and Facebook.